Add player tracking, amazing animations, and downloadable rewards to your casino's player experience! Better-quality videos are available for download below. Flexible scenes you can change on the fly with customer level customization capabilities. Bring any object to life through animation. You specify how each component of a scene behaves to give your customers a rich visual experience. Manage multiple player accounts and schedule group-level promotions. Download earned points and marketing points and even upload them back to the customer's savings account so they can be used at different machines. Personalize the interface. Reward your best players with special gifts and tempt them with special offers with in-play popups. Avanti gives you pixel-level control to the millisecond over easing, size, position, speed, and much more for every element of every animation — even embedded videos. 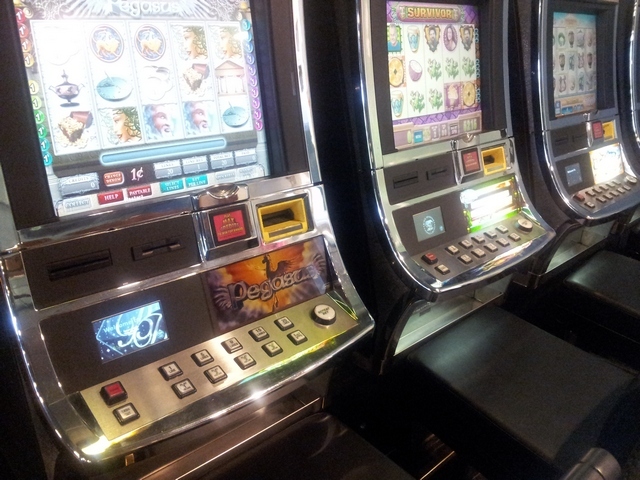 Your casino is themed, so why not theme your player tracking system? 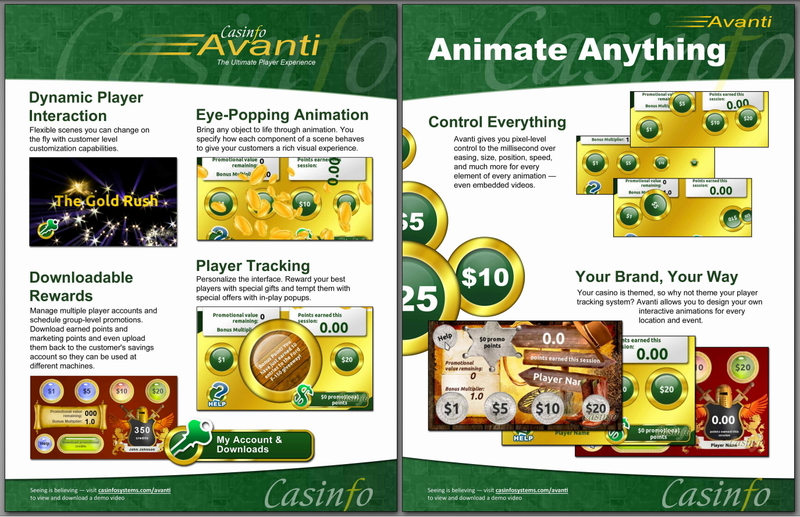 Avanti allows you to design your own interactive animations for every location and event.